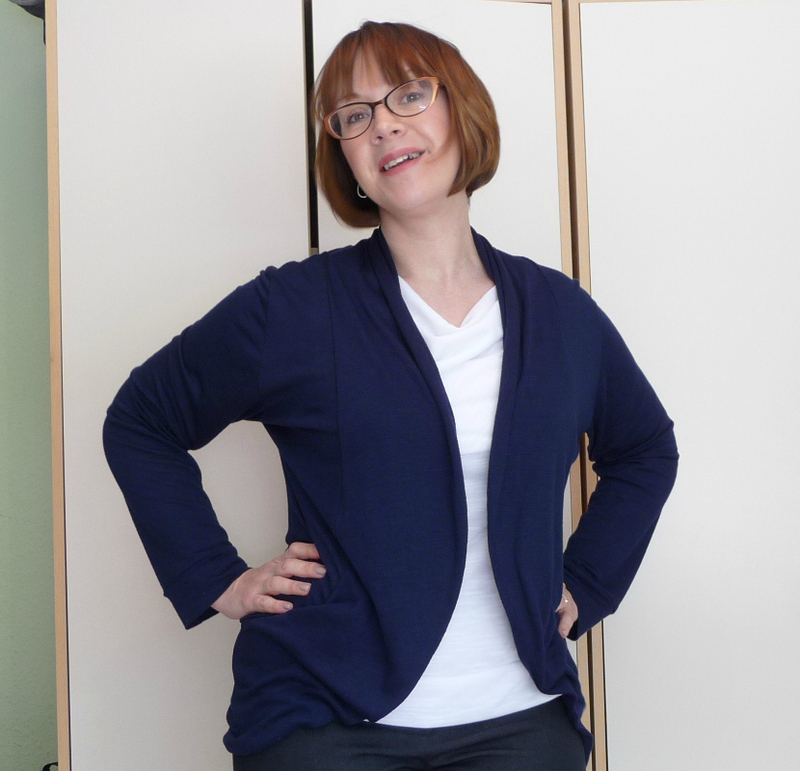 For my May project for the Minerva Crafts Blogger Network I decided I needed some separates. I chose these fabrics while I was in the middle of doing Colette Patterns Wardrobe Architect series and they fit perfectly with my need for some coordinating items to add to my existing wardrobe. 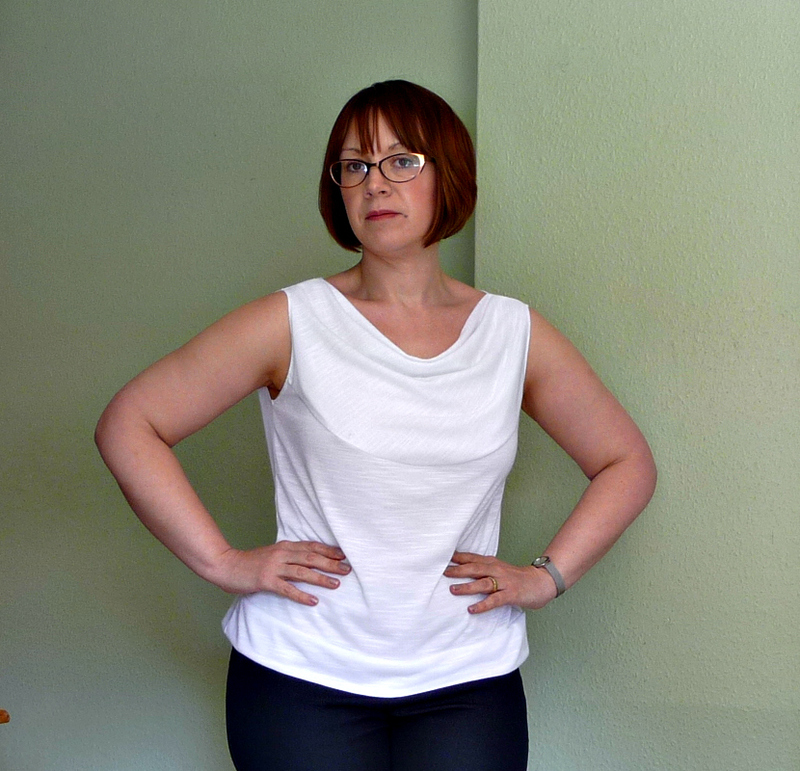 My intention was to make a top, a cardigan and a skirt - things changed a little (as they tend to with my plans!). 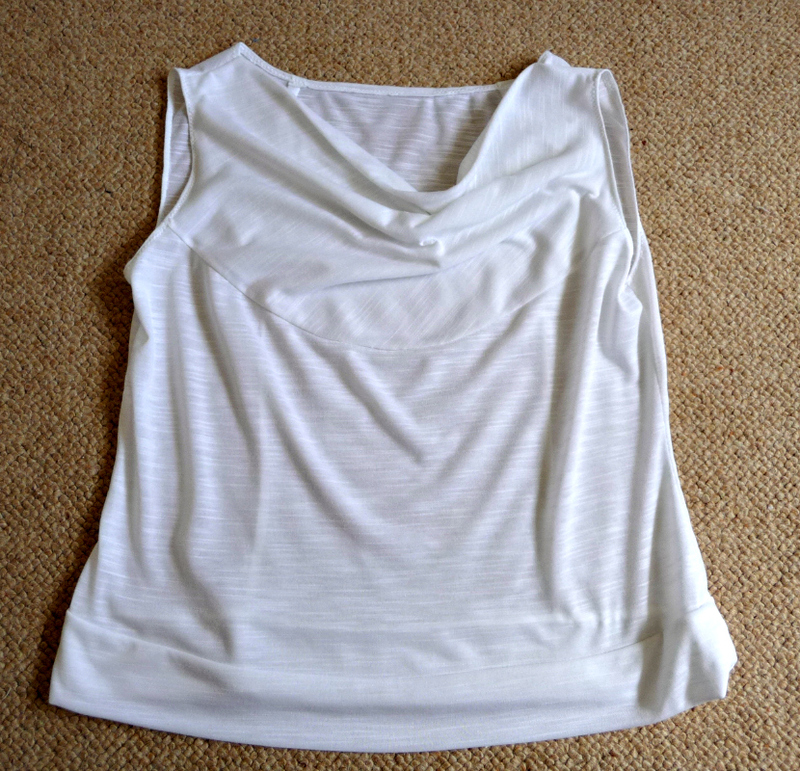 I first made this top from some white slub jersey. 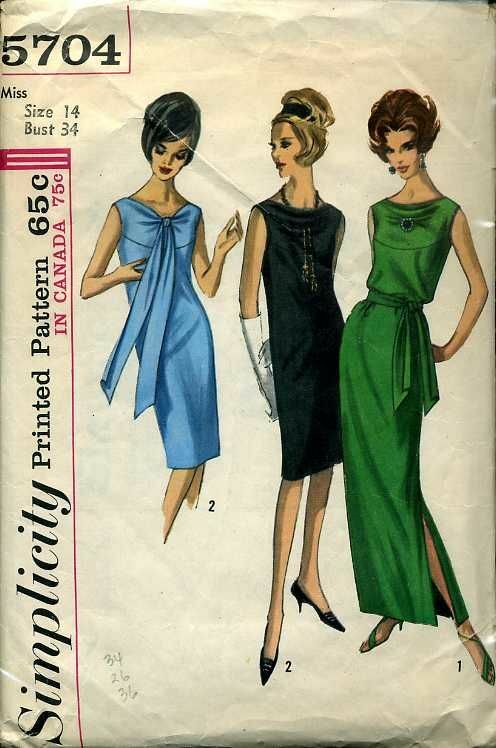 I had ordered a new pattern for a drape neck top to use for this, but it didn't arrive in time, so I raided my pattern stash and came up with this vintage Simplicity dress. 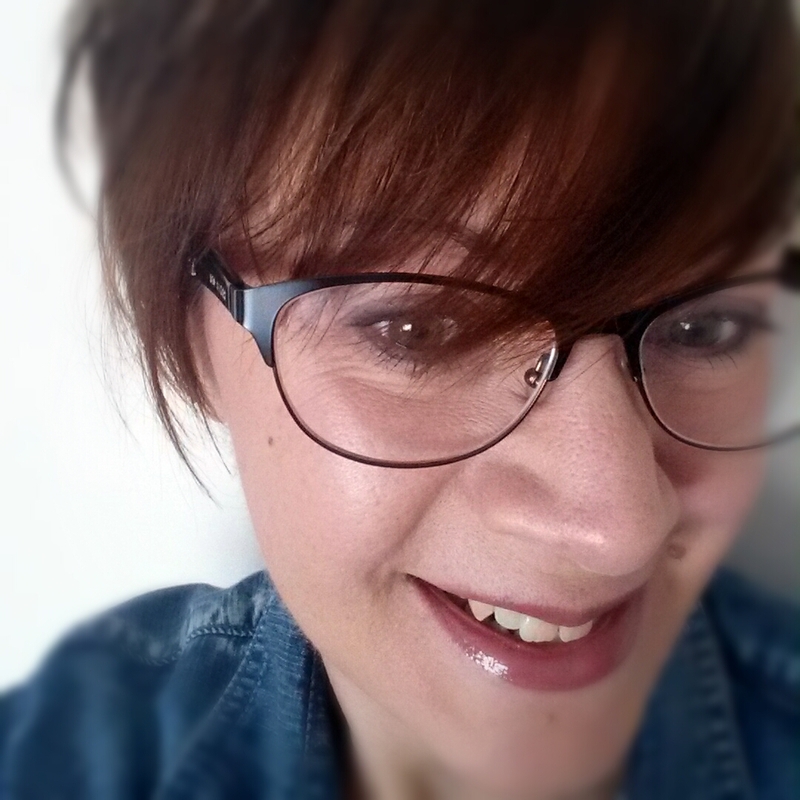 I cut it off at hip length and although it's not the same as the one I ordered, it worked really well. Here's a photo of it unworn - I'm rubbish at taking selfies when modelling garments. The fabric is pretty thin, so I need to wear a white vest underneath it, but that's no problem. I had lots of the fabric left over and decided to make another top. For this one I used my self drafted jersey top pattern and a scrape of old stretch lace fabric for the yoke and sleeves. For the body I used the slub jersey doubled. It's nice and opaque and hangs very well. For my cardigan I picked the same fabric, this time in navy and plumped for the Mouse House Creations Julia cardigan. I have to say this is a fab pattern. It came together brilliantly on my overlocker, all the pattern pieces fitted together perfectly and my husband thought it was a cardigan I'd bought when I showed it to him. As it's navy it is pretty hard to see the details - this shot is slightly better. My kit also contains some red stretch denim (it's called raspberry on the website, but it's redder than I think of raspberries being) which I was planning to (well, actually did!) made this skirt from. It's a Burdastyle pattern that I've made before very successfully. Those of you who read my blog regularly though will already know that this didn't go quite to plan. I messed up the front inset pockets and ended up with big puckers on both corners and darts, and I couldn't get rid of them whatever I tried. Here's a shot of the worst pucker! Sadly my skirt isn't wearable, but there's a metre of this fabric in the kit for you to make a lovely skirt yourself. The fabric is really nice, medium weight with an almost brushed finish. I think I might have to buy another metre and try again! If you're looking to make yourself some Spring and Summer separates, you can buy this kit here. 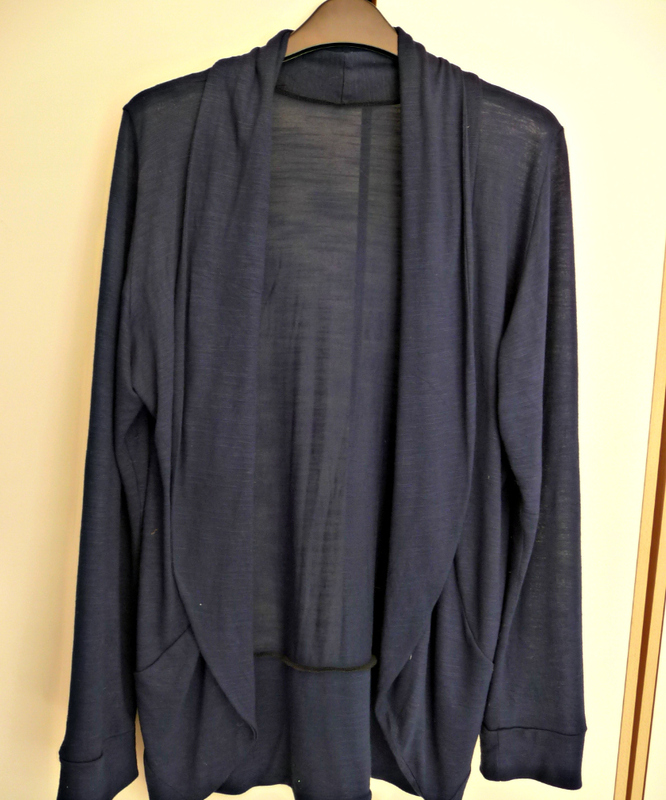 Love a good drape neck top! Are you going to wear this tomorrow night? Love to see it! Thank you, yes I'll wear it this evening. 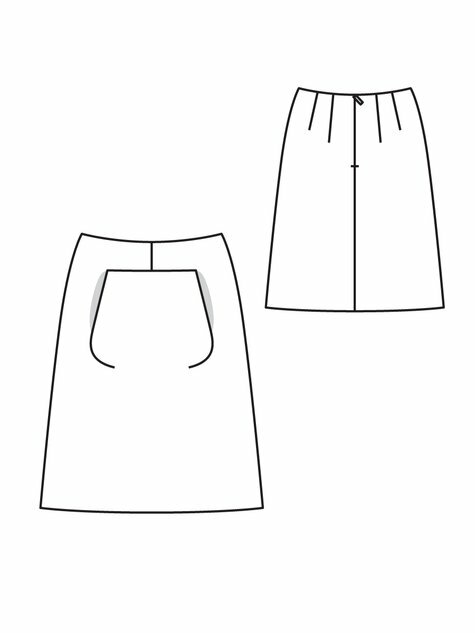 What a nice idea to make separates for your Minerva make - very practical! I love all the jerseys they have in at the moment - I've used the navy slub for a t-shirt. I like your Julia and the lace-yoked tee especially.